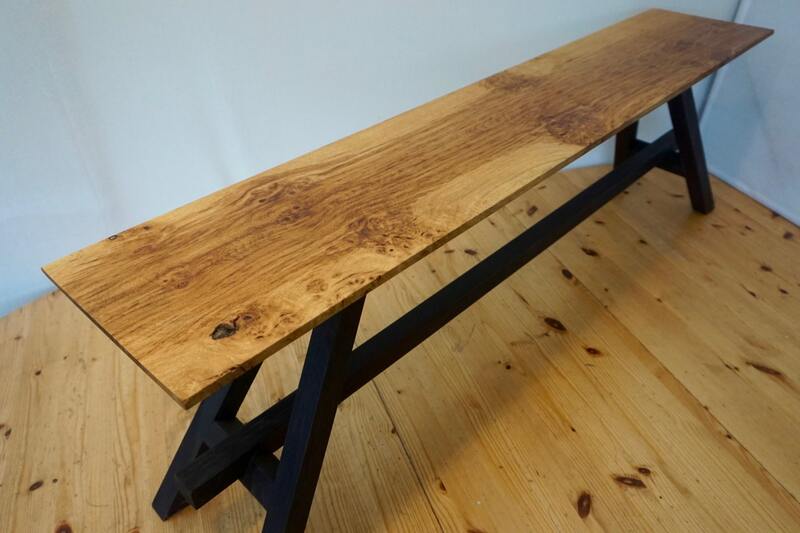 One of a kind, hand made bench with a solid piece of locally sourced English Pippy Oak as the seat and English Oak legs and frame. 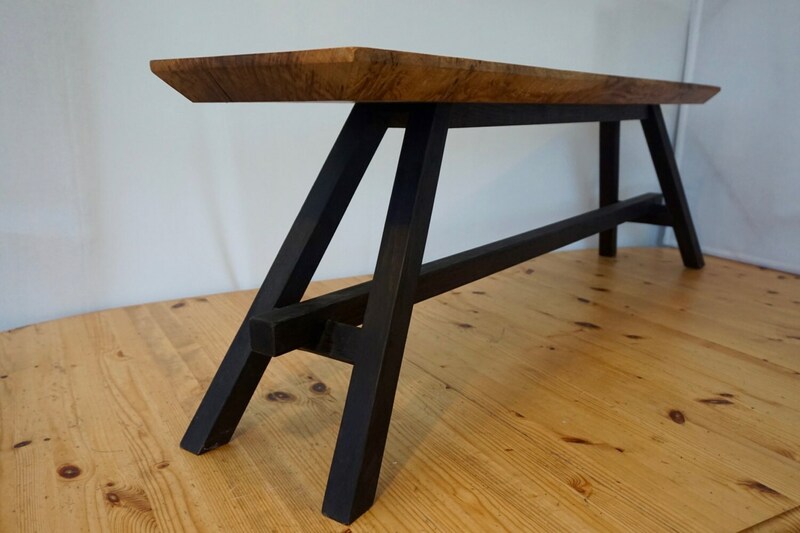 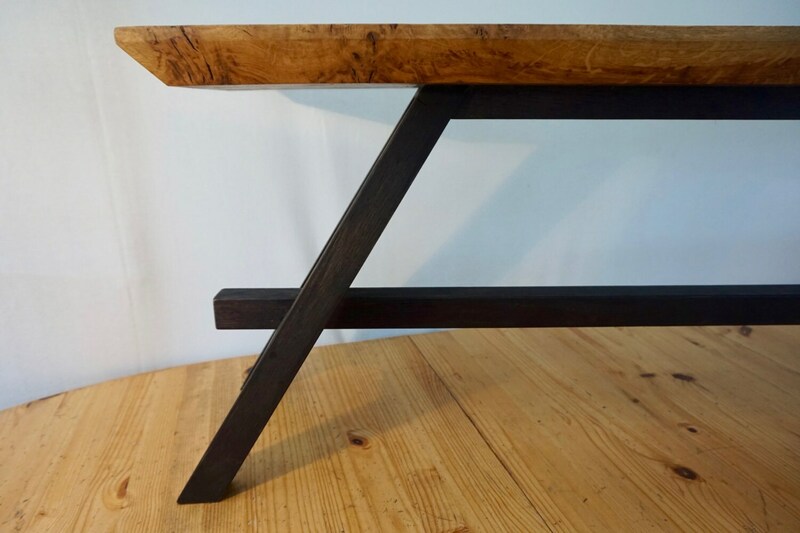 The legs and frame have been dyed black to contrast with the natural character of the Pippy Oak slab on top. 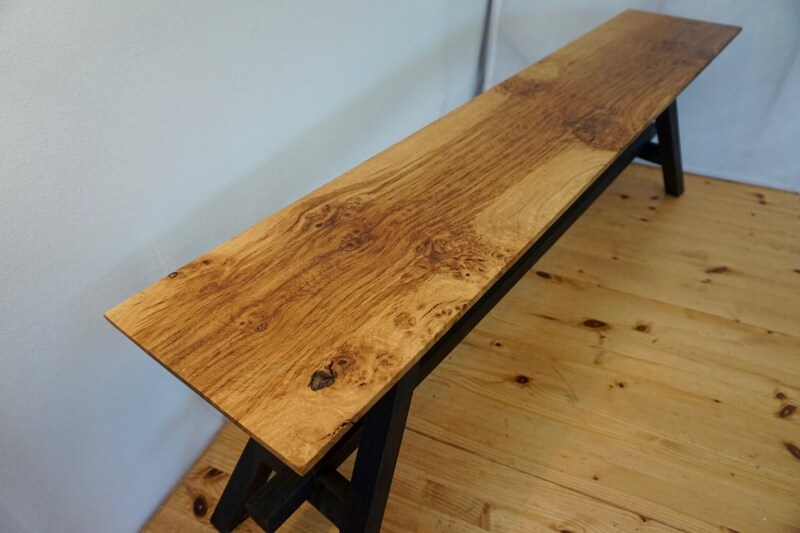 The term 'Pippy', is in reference to the frequent small knots that are found throughout the wood giving a more distinct appearance that would make it a focal point in any interior. 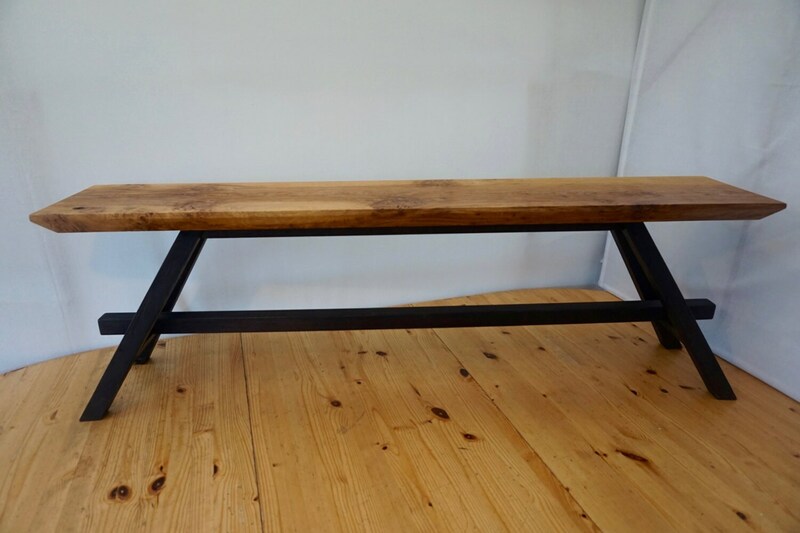 This bench measures 1.3m (51.25") long, 25cm (9.75") wide and 41cm (16.25") in height.